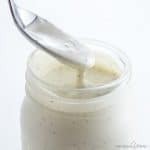 This easy low carb keto ranch dressing recipe takes just 5 minutes to make, using common ingredients. Delicious as a low carb dressing or dip for veggies! As I made another batch of my favorite low carb keto ranch dressing this past weekend, I noticed that somehow I missed Wholesome Yum’s blog-iversary recently! No idea how that happened. Wholesome Yum started as an innocent little hobby just two years ago, and now… well, here we are. It has transformed into a real business that I absolutely love. You guys, I’m still totally floored by all your support. I could not have imagined in my wildest dreams that I would have so many people coming here, reading my rambling, and making my recipes. Thank you, thank you, from the bottom of my heart. The recipes on this blog started out as a little random. These days, I try to make to what you guys are asking for. I still get to create fun low carb recipes, but it’s even more rewarding to fill a need people have. People have been asking me for homemade low carb salad dressings. So, I’m happy to share my go-to low carb keto salad dressing recipe. Ranch dressing is usually made with buttermilk or buttermilk powder. We don’t have it around very often, though. I hate having to purchase something just for one purpose. I wanted a low carb ranch dressing recipe that I could make on the fly when I feel like it, using ingredients I have all the time. Since this isn’t a sweet type of dressing, it wasn’t too hard to do. This was what I came up with, and I love it! So, how to make ranch dressing without buttermilk – and still have it taste like ranch? It’s actually really easy. The key is a combination of sour cream and lemon juice to create the same tangy ranch flavor. And, we pretty much always have mayonnaise, sour cream, lemon juice, and dried herbs in our kitchen. I’ll bet you do, too! Yep, those are the only ingredients you’ll need. To prepare the ranch dressing, just whisk all the ingredients together. Crazy simple! The almond milk goes in last, so that you can add it gradually and adjust the consistency to your liking. You can make it as thick or thin as you want! If you have an almond allergy or don’t want to use almond milk for some other reason, that’s easy to swap. Feel free to use heavy cream, coconut milk (if you don’t mind the flavor), or even regular dairy milk if the extra carbs are acceptable. I’m so glad I don’t have to buy store bought dressings anymore. Even though some of them are low carb, it’s hard to find one that tastes good and isn’t made with corn or soy. This homemade version tastes better and I feel better about the natural ingredients. This keto ranch dressing also works well as a low carb dip for veggies. Fresh ones are always good, but it’s also delicious with fried zucchini and squash. You can simply adjust the amount of unsweetened almond milk to adjust the thickness, as needed. I like to make it a little thicker for a dip, or thinner for a dressing. Aside from salads and vegetables, this dressing is amazing to use in recipes. That’s actually how I remembered to post it. It was because I incorporated it in a keto casserole recipe that I have coming up. Stay tuned for a low carb chicken bacon ranch casserole coming up later this week (that was updated with a link!). 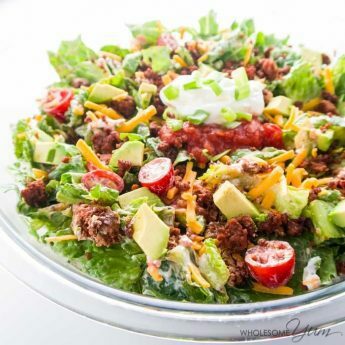 In the meantime, you can’t go wrong with this low carb keto ranch dressing in a big ole’ salad. Do you have other ways that you love to use ranch dressing? Tell me so that I can try them, too! Whisk all ingredients together. Add the almond milk last, gradually, until you reach desired consistency (possibly less for a thick dip or more for a thinner dressing). Refrigerate for at least 1 hour to let the flavors develop. Store in the refrigerator for up to 10 days. Click or tap on the image below to play the video. It's the easiest way to learn how to make Ranch Dressing! Logged in as Paul. Log out? The only changes I made was substituting homemade 24hr yoghurt for the sour cream and adding 1/8 cup heavy cream. Thank you so much for your quick and easy and so tasty recipes! Found your recipe and it’s really good, you’ll think I’m crazy but add a few dashes of fish sauce to get that umami flavor and it’s absolutely perfect! All I can say is …. WOW! I have searched for a homemade ranch that everyone can agree on for years. I gave up a long time ago. Been keto for 6+ years and just figured it was not to be. In one last ditch effort chose the first one that came up. FInally. The search is over. Thank you sooooo much! This ranch dressing is absolutely delicious! 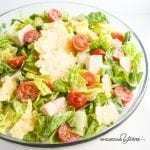 It was easy to make and it tastes better than most regular ranch dressings. I used Hellmans olive oil mayo instead of regular mayo to make it a bit healthier. BEST Ranch Dressing ever! I won’t buy store bought dressing again! This is the BEST Ranch Dressing ever!! I never buy store bought dressing after having this. Thank you! This recipe is amazing. So easy, and delicious. Thank you so much! I would take this over store bought ranch dressing any day! Absolutely delicious. Thank you again for sharing. Great dressing!! Made it , but used buttermilk instead of almond milk. This is THE BEST Ranch dressing recipe ever! It goes together so quickly with ingredients we always have on hand. The only thing i did differently is using Half & Half instead of Almond milk. We love almond milk but we always get the unsweetened Vanilla one and i wasn’t sure how the Vanilla flavor would work. Ive made it several times, always with great results. Been looking for quite some time for a fabulous Ranch dressing & this is it! Btw, yes, fresh lemons are hard to have on hand but when they are plentiful in season i peel them ( using the peel for other stuff) and pop them in to the blender & pour into the small size of cubes, ice cube trays, then freeze. Works great to just pop a cube or 2 in the dressing. THIS IS AWESOME!!! I’m getting into the “make what you eat” lifestyle and this is definitely making me want to continue making everything I eat. So good! No nothing that’s unnatural! Happy reader here! This is an amazing recipe, so tasty and simple! I will never use store bought again!! Thank you for sharing it. Thank you for this recipe! 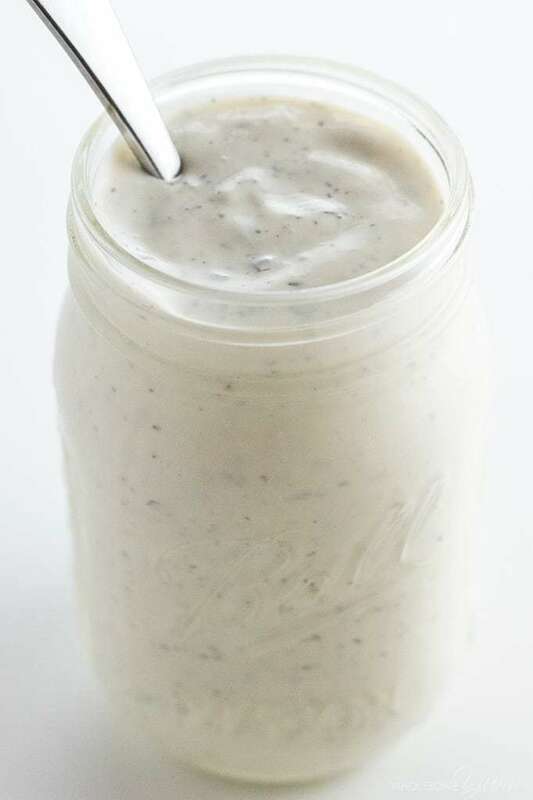 I have made several recipes for ranch dressing and this one is by far my very favorite, it is so good. DEFINITELY was a success! And thank you for all the information you give! Until I started getting good at reading labels, I never realized how much sugar is hidden in ranch dressing! I can’t wait to try this recipe. 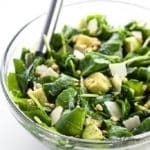 My husband wants to try the KETO diet, thank you for sharing a recipe that I can try to use for our family! It looks delicious! Making this tonight! I thought I was eating good salad dressing by buying the refrigerated glass bottle types. Last night I actually read all of the ingredients and wow! Two forms of corn, sugar, preservatives galore and too salty. Woke up this morning and my rings are all thought. No more manufactured salad dressing. Wish me luck. I will post results. Thank you. I’ve made this a few times now and every time it turns out SO delicious! I’m not doing keto, but your picture looked so yummy, I just had to try it! I didn’t have any lemon on hand, so I omitted it and I used regular milk instead of coconut milk. It turned out amazing. Next time I have lemon on hand, I will make this again and see what the difference is. This will for sure be my go-to when making ranch. So much better than the powered stuff! L am going to try this ranch dressing on a keto bbq chicken pizza. I used to get a bbq chicken pizza takeout and they used ranch dressing as the base but theirs was on the sweet side so I will just take some of the dressing and sweeten it up a bit for the pizza. Thanks Maya. I made this last night to go with my zucchini fries! I had a little issue finding dried chives so I used fresh but do think it would be better with dried. Love, love, LOVE! Can’t wait to make this a weekly staple! Unfortunely, the lemon doesn’t last in my house… My 3 year old eats them all!! How long would you recommend this would be good for? Hi Kayla, It would be good for as long as your mayo and sour cream… about 7 to 10 days. Keto Kitchen Warrior Goddess does it again!!! OMG!!! Thank You…. this is My all time favorite dressing. I’ve lost 20kgs in 4 months on Keto!! (1.5 to go to my goal weight of 65kg!!) And all my favorite recipes are right here. Thank You, Thank You… THANK YOU!!!! Can a low or fat free mayo and sour cream be used? Hi Paula, Yes, you can do that! Your recipes are amazing! 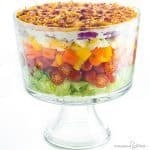 Thank you for so many wonderful recipes I can use for myself as a LCNewbie, as well as, recipes that will help my diabetic sister get through the holidays! The LCK Ranch Dressing is fab! I am so happy to hear that, Theresa! Thank you! Your recipe is better than other dressing I’ve had and it’s healthy without the crap. I am so happy to hear that, Tim! Please come back soon! This is so yummy. I should have made a double batch, I cannot stop eating it. So easy and taste way better than any bottled keto friendly dressing I have tried. I used coconut mayonnaise in mine. Yay, so glad to hear that, Tracy! Hi there 🙂 Can you suggest a way that this yummy recipe can be made with a bit less fat? Thanks! Hi Tanya, You could use light sour cream if you’d like. If you don’t happen to have lemon juice on hand, you can substitute distilled white vinegar if you want as well. You can make buttermilk with regular milk (or thinned cream) and lemon juice or vinegar. Let it sit until it curdles a bit and mix well. Thank you for sharing, Danielle! Yes, that should work, just with a slightly different flavor. Died and gone to heaven with this ranch recipe!!!!!!!! DELICIOUS!!! THANK YOU!!!! I love to hear that, Jodi! Have a great day! 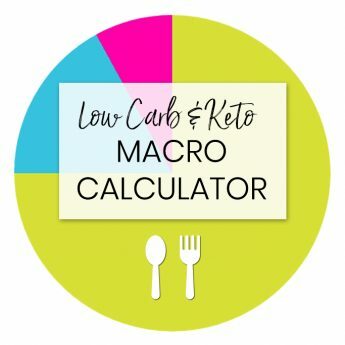 Do you know how many macros are in this recipe? Hi Kris, The nutrition info is on the recipe card above. I am so happy you liked it, Heather! Have a great day! How many servings does this make/ what is the serving size? Hi Wendy, The serving size is 2 tbsp and the recipe makes 12 servings. YUM! I used white pepper cuz I love it and this is DELISH. Thanks! I am so happy to hear that! Have a great day! I am so excited to true this recipe! I have a question though, when trying to avoid canola or soybean oil, what Mayo do you use? Or do you make your own. If so I’d love a link to your recipe! Most mayos have those pesky oils in them. Thank you, can’t wait to hear from you! Lovely website! Hi Analee, I usually make my own mayo because it takes just a couple minutes – here is the avocado mayo recipe. Ohmygoodness I just had to make a comment because this is the best ranch I’ve ever tasted, seriously!! Thanks for sharing it!!! I am so happy you liked it, Kelly! Have a great day! I was skeptical because I’ve tried so many and didn’t like them but as I was reading recipe, I realized I had everything so I thought, why not!! This dressing recipe is off the hook good. I followed recipe exactly and wouldn’t add or change a thing. I used unsweetened almond/coconut milk because that’s what I had. Thank you so much, Felicia! Enjoy! I am so happy to hear that, Renee! Thanks for stopping by! 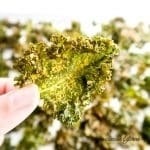 So awesome… I substituted pickle juice for the almond milk and it was sooooo good! I love your substitutions, Heather! Do you know where to buy no sugar added bacon that is also grain and soy free? I can’t find any. The no sugar bacon I found, the pigs were fed grain. Hi Stephanie, My favorite bacon is from Butcher Box – you can get a discount code and free package of bacon here. Love it! Quick and easy! I am a complete ranch snob, it’s sad. So I’m actually very excited to try this. I will update once I do. I hope you like it, Carolyn! Thanks for stopping by! My favorite go-to ranch dressing. Thank you for the recipe. I don’t know why I waited so long to make my own dressing. The stuff in the store is so expensive and full of chemicals. I’m going to try some of your other recipes. I am so happy you liked the ranch dressing! Please come back again soon! Hi Maya! Thanks for the recipe. I just made it and set it to chill. I had to use diluted heavy cream as I was out of almond milk. I took a little taste before it went in and I love it. Now I will have more leafy greens in the form of salad. Glad I found this one.Thanks again. I am glad you liked it, Sonya! Thanks for stopping by! I’m not much of a ranch person, but my husband and kids are, I mean, we’re diehard Hidden Valley fanatics. When I switched to keto, I found this recipe and made it using homemade mayonnaise. Everybody in my household went crazy over it, including myself, the anti-ranch person. My husband says Hidden Valley now tastes weird to him (probably because of all the chemicals), and the kids practically beg for this stuff. Even my picky eater loves it!! I love to hear that, Tammy! Have a great day! Hi Terri, It says “nut-free option”. This is because the recipe has the option of being nut-free. You can swap the almond milk with another milk of choice, like coconut milk beverage. What a great tip, Daresa! Thanks for sharing with us! Let me just say Yummm!! So delicious. I will never buy store bought dressing again. So easy to make. I did not have chives onion powder or almond milk. Used HWC and omitted the other two. It was amazing. I wouldn’t change a thing. I love to hear that, Tawna! Thank you! I am going to go home after work and make this tonight. I love ranch dressing but hate the sweetness they put in it. This recipe sounds absolutely delicious. Thanks! I hope you like it, Cecelia! Have a great day! I’ve been trying to find a substitute for my beloved ranch that was healthier and this is the only one I’ve tried that isn’t “sour” tasting. In fact, it is BETTER than any ranch I’ve ever had including Texas Roadhouse (which to me was always the ranch that no other could measure up to). So so good and I’m using the dry spices on my grilled chicken from now on because they are the perfect seasoning!!!!!!!! Thank you so much for this incredible recipe! I am so happy to hear that, Janie! Please come back soon! 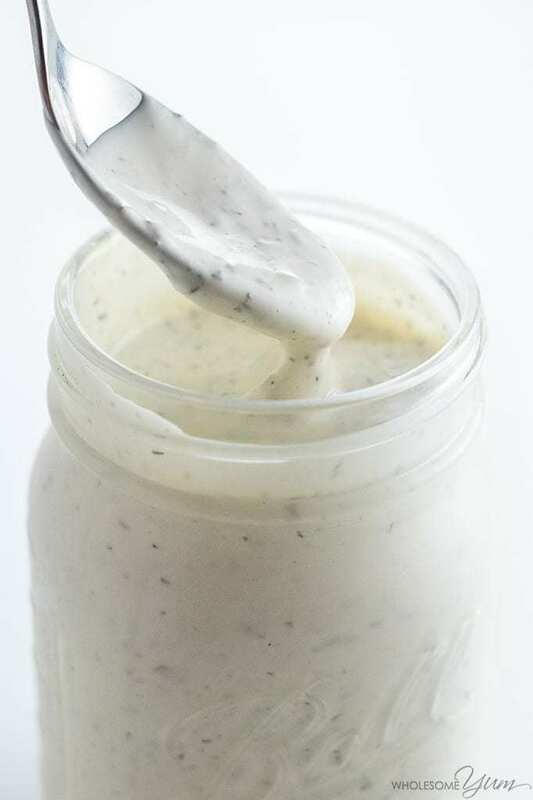 This homemade ranch dressing is delicious. Not buying bottled dressing anymore! I love that, Denise! Thanks for stopping by! Wow! I made this tonight and it was incredible. I needed a ranch dip for some celery and Keto chicken wings that I made. I don’t think I’ve ever tasted a ranch dressing this good. I used your ingredients exactly – and it turned out perfect. Thanks for posting this! Hi Lisa! I am so happy you enjoyed the dressing! Thank you! Super excited to try this recipe! I love ranch but I have some weird food allergies – mayonnaise is one of them. Do you have any suggestions for what I could use in place of mayo? Thanks so much! Hi Jenny, The flavor will be a little different but you could just use more sour cream. Or possibly a mixture of sour cream and super thick coconut cream. Yay! I love to hear that, Connie! Thank you! AHHH! This is amazing!!!! Tastes great and low carb. So fulfilling to be able to create something to eat (as corny as that sounds) and I know exactly what is in it. SO good, better than Hidden Valley!! Yay! I love to hear that, Kirsten! Made the ranch dressing today and it is delicious! No more store bought for me. Thank you. Thank you, Denise! Me, either! Delicious dressing! I didn’t have any parsley or dill, but instead added fresh rosemary and thyme from my garden. I think I’ll add fresh cilantro next time! I used half and half instead of almond milk. Thank you! Thank you, Barbara! Those substitutions sound like great options, too. Amazing! I didn’t have almond milk so it was omitted. Packed with flavor, my husband loved it and now I can say goodbye to spending $$ on little Jars or bottles of ranch that don’t live up to the flavor of this keto ranch. Thank you so much, Tessa! The almond milk is just there to thin it out. Hi Joan, A serving is 2 tablespoons. The nutrition info is on the recipe card. This is amazing – I love that it’s all wholesome ingredients without additives and preservatives! I am so happy you liked it, Corinne! Have a great day! I’ve tried several home made ranch recipes with not very good reviews…but this one! So good! I won’t be buying bottled anymore that is for sure. Keep it thicker for dipping veggies! Thank you for such a great recipe! I did substitute my homemade thick yogurt for the sour cream and since I didn’t have dill I didn’t put that in…and came out awesome! I am so happy you finally found a ranch recipe you like, Kathy! Thank you for stopping by! Sounds fabulous and I plan to make it soon! Quick question…if I mixed the dry ingredients together could I use it as a seasoning? I’ve been using the packets of the dry ranch mix like this especially in crock pot recipes. Hi Margo, Yes, you can definitely use the dry mix as a seasoning! I love to hear that, Cath! Have a great day! FABULOUS!!!!!!!!!!!!!!!! Loved it! I swear I could of drank it but I didn’t. Better then any commercial brand. My new GO TO!! Thanks! I totally get it, Jacolyn! It’s good enough to drink 🙂 Thanks for stopping by! The reviews did not lie! THE BEST! Made the “original” and then made a second batch in which I threw in some cilantro and a jalapeno. Thank you sooo much for sharing! I love that you added cilantro and jalapeno, Tina! Thanks for sharing with us! Hi Maureen, There’s a print button on the recipe card, which will take you to a printer-friendly version. Hope this helps. I found your recipe a day or two ago. I decided to try it today because in addition to being Keto, I’m suddenly needing to avoid dairy & all of my store bought dressings have sugar or dairy or both. Not to mention all the chemicals…. Once I started making at, it occurred to me that sour cream is dairy, so I used my rather sour kefir instead. (I am choosing to believe it is no longer dairy after fermentation.) I must say this recipe, at least using the kefir tastes just like the packaged blend mixed with good quality sour cream. I will not ever need to buy pre-made ranch dressing again! Thank you so much for this recipe!!! Minus the Almond milk. I forgot that part! I am so happy you liked the dressing, Jo! Thanks for stopping by! I use Hidden Valley powder and mix according to package but instead of milk I use 1/2 cup HWC combined with 1/2 cup of water. Put all in a mason jar with a lid and shake til combined. Thank you for sharing, Dawn! This was DELICIOUS! I was amazingly surprised by the taste and it was so easy. I did make homemade low carb mayo first then used to make the ranch recipe. Awesome. I ma so happy you liked the dressing, Mary! Please come back again! My daughter is allergic to tree nuts, is there a substitute for the almond milk? Hi Sarah, Any kind of milk would work. You can try coconut milk if you’re not too sensitive to the flavor. Otherwise, heavy cream would also work. I love this recipe for ranch… it is the best I’ve found. I hated to let go of making my normal ranch with the powder mix by Hidden Valley Ranch but because it contained MSG, I had to find a substitute. I am trying to cut more carbs so on this recipe, I substituted the almond milk with hemp milk. Hemp milk is easy to make and doesn’t add any sweet taste. Thanks you for sharing with us, Sarah! I’m very interested in this recipe, but am dairy sensitive. What could I substitute for the sour cream? Hi Eve, I haven’t tried it without sour cream since it provides a lot of the flavor here, but you could try experimenting with thick coconut cream instead. You’d taste some of that in there, but the spices would help. You would likely need more lemon juice to compensate. Yay! I love to hear that, Laura! This tastes great, but, your math does not make sense to me. You say the recipe makes 12 servings at 2 Tbls per serving. That equals 24 Tbsp which equals 1 1/2 cups. But if you add up 1c. mayo, 1/2c. sour cream, and 1/4c. almond milk, that comes to 2 1/4 cups. And that’s not counting the lemon juice. Hi Sue, I’m glad it tastes great for you! Volume is not always additive as some ingredients condense when they mix together. I measured the total amount I ended up with after mixing everything, then divided by 2 tbsp to get the number of servings. Hope this helps! Actually it makes about 1 3/4 cup of dressing. It’s so easy and delicious! Thanks! What is the best mayonnaise to use? I’m in NZ. Hi Colleen, I love to make my own homemade avocado mayo like this. This salad dressing is amazing exclamation! It’s true that the reviews say it’s better than Hidden Valley Ranch. I’m going to pass this on to all my family, thank you so much, there are a lot of celiacs in my family and we will enjoy this. I am so happy you liked it, Nancy! Thanks for stopping by! I am anxious to try this! Always looking to cut carbs and calories! I tried the Mayo Clinic diet and lost around 25 lbs. but, have reached a plateau for several weeks now. I eat lots of veggies and fish, mostly salmon and this dressing seems like it would be good to dip my salmon in. Thanks! I tossed out my other ranch dressing recipes because this is the only one I will make from now on. I love to hear that, Ronalyn! Thanks for stopping by! I would like to try this recipe, but before I do can I know how much is a serving? Looks delish! Hi Delia! One serving is 2 tablespoons and there are 12 servings in total. I hope you like it! I just made this and the only thing I can say is WOW! I am so happy you liked it, Jolonda! I love this! Made it twice already. Had to substitute a few things because of what was/wasn’t on hand but this is a total keeper! Thank you so much. I did end up putting in more herbs and seasonings than called for, but it’s really to personal taste, imho. Thanks much! I am so happy you liked it, Julie! Hi Becky! You can use either one. Thank you! Can you use coconut milk instead of almond milk? Hi Robin! Yes, you can substitute coconut milk for the almond milk. It may have a slightly different taste but I am sure it would be delicious! This is the BEST ranch dressing I have ever had. I am not a fan of store bought ranch but this is my “go to” ranch now. This is now everyone’s favorite, even my granddaughter. I just put a little less dill. Thank you for all your recipes. Thank you, Monica! Glad to hear you and your granddaughter enjoyed it. My kids love it, too. What can you use instead of almond milk? I’m allergic to tree nuts and can’t have almond milk. Hi Bethany, Heavy cream or half & half should be fine instead. I just made this with coconut oil mayonnaise and it’s awesome!! I love salad and just don’t like other dressings so this works wonderful. How many 1 tbs servings would you say this makes? 28? Hi Sarah, This recipe would make 24 1 tbsp servings. No almond milk. What do you think about a little heavy cream added gradually to monitor thickness? Great dressing and super easy! I’m spoiled by this. Store bought can’t compare. Thank you! How long will this keep in the fridge? I’m the only one who eats ranch in my house, therefore I don’t go through a whole lot. Hi Brittannie, It lasts about 2 weeks in the fridge – basically the same amount of time as sour cream would. How would you go about making this truly sugar free? I have yet to find a mayonnaise that doesn’t have sugar. I am allergic to alliums (onion family). Any sub for onion, garlic and chive in this recipe? Hi Janet, I haven’t tried it, but asafetida or fennel might be acceptable stand-ins. This dressing is really good!! I have a daughter who is lactose free so I just used Lactose free products and it turned out amazing!! I also did, 1/2 cup of mayo, 1/2 cup of sour cream and 1/2 cup of plain greek yogurt. It turned out amazing! Thank you! This is great! I used heavy cream instead of almond milk and added about 1/8 cup more plus 1/8 tsp more of salt and a dash of hot sauce. It was perfect! Super creamy and decadent. Thank you, Betsy! Sounds amazing! If I used buttermilk would it change the carb count? Hi Judy, Yes, buttermilk would increase the carb count. Thank you, Kimberly! Love the idea of adding pickle juice, I’ll have to try that! I followed the directions exactly and this dressing is the best! I have a picky eater and she’s going to love this. Even if I have to disguise it in a hidden valley ranch store bought bottle. Thank you, Stephanie! Hiding it in the store bought bottle is genius! If you need to subsistute the almond milk due to nut allergies, what would you suggest? Hi Denise, Any kind of milk or cream will work. Heavy cream or half & half is probably the next best low carb option. Regular dairy milk will work fine but adds carbs. Coconut milk also works from a consistency standpoint, but I’m not sure if the flavor may be a little strange. Made this today. Eating it now on a salad. Oh my is it delicious! And easy!! Thanks for another great recipe!! Thank you, Lorri! I’m glad you enjoyed it!